What is a dwarf apple? Apple trees are pretty amazing. They have been part of the diet of nearly every nation since pre-history. Why? Because they are absolutely delicious … well … the one’s we eat that is. If you grow an apple tree from seed, you might be disappointed. Firstly, it will take around 8-10 years until it fruits and secondly it will probably taste nothing like the apple it came from. 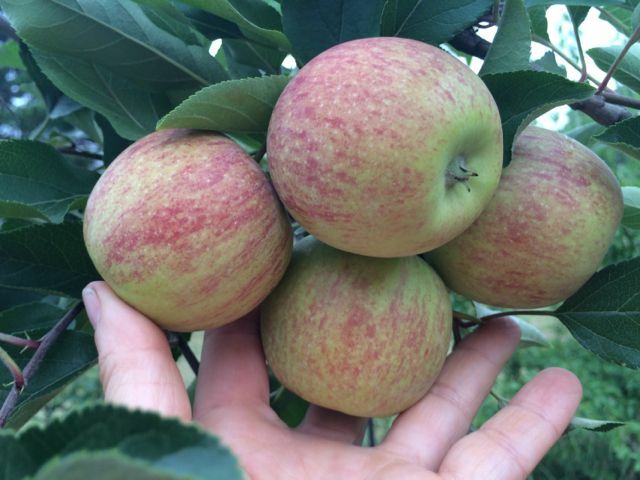 This is because nearly every apple needs to be cross pollinated with the pollen of a completely different variety of apple tree. This is why apple trees you buy are grafted. There are two parts to a grafted tree: the Rootstock (the part that grows in the ground) and the Scion (the variety you want to grow). 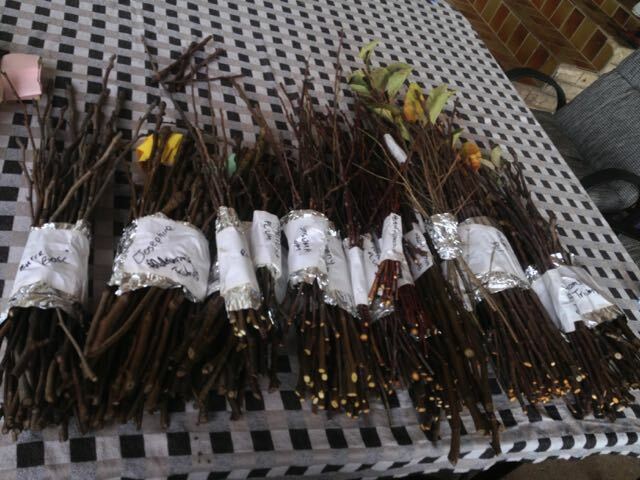 When you want to create another apple tree, lets say a Granny Smith, you need to not only find a scion of Granny Smith to use, but you also need to determine what rootstock you want to graft it to. The main drawback to using this rootstock is that it has a shallow roots system (which is why its good for pots) so needs lots of regular water and a stake to hold it up. Our scion wood is collected once trees are dormant. That is when all the leaves have naturally dropped form the tree. We collect short lengths of around 20-30cm of pencil thickness. These are bundled, labelled, wrapped in moist paper towel and then refrigerated (in plastic bags) until they are needed. 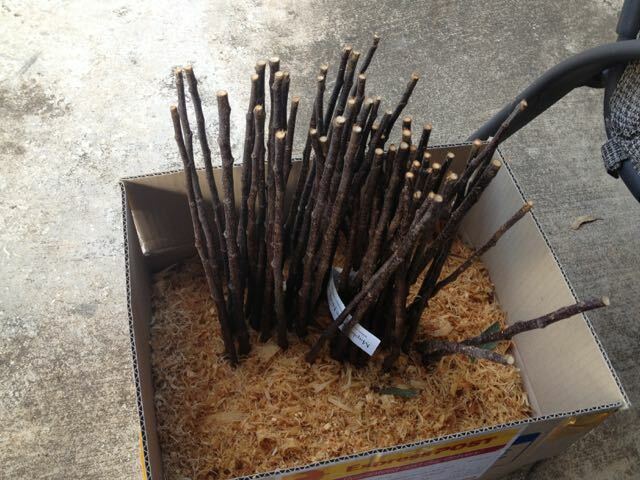 When your order of rootstock arrives, unpack it as soon as possible and put it in a medium that keeps the roots moist but not wet. We use moist wood shavings. There are different ways to create a grafting union. 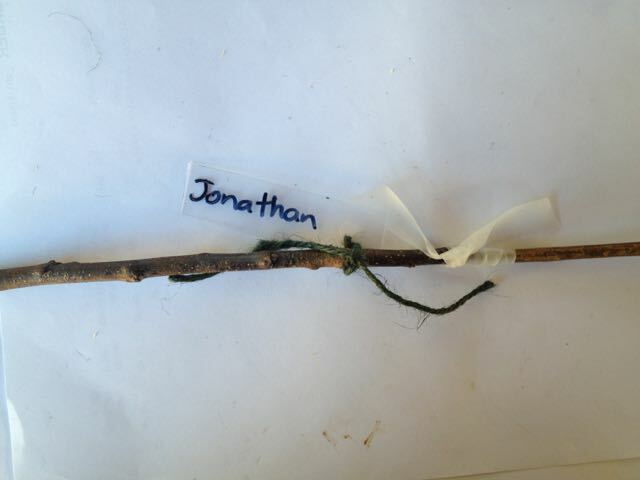 You can use a knife or specialised grafting tool. 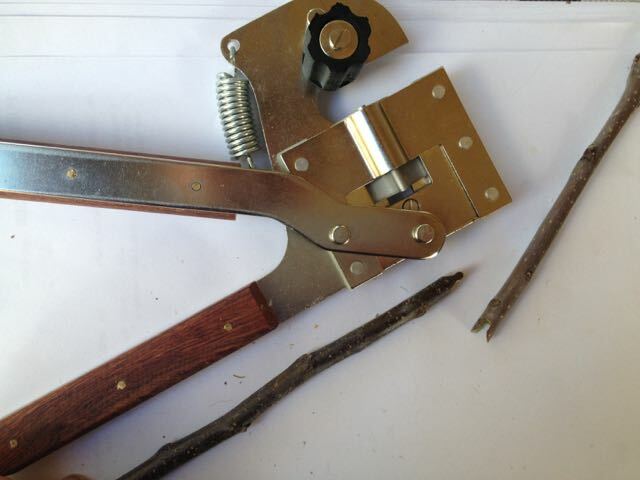 The following images show a grafting tool which uses an Omega cut. You can see how the rootstock and scion meet almost perfectly. 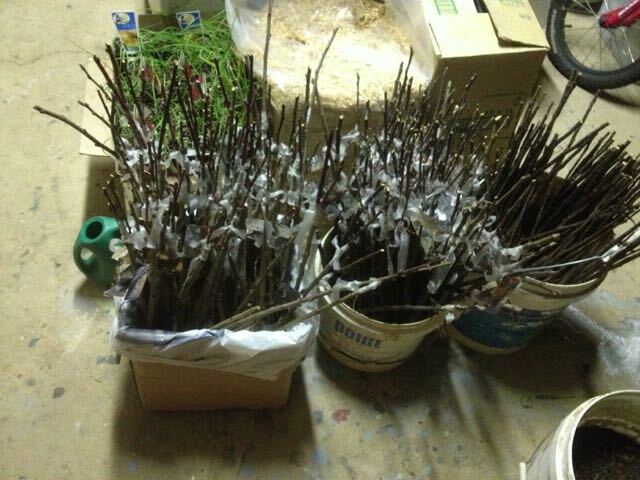 Here are two boxes of trees grafted and ready to be planted out. So the next time you nibble on an apple, think about all the research that has gone into creating the wonderful fruit you are eating.